Main Objective: Financial inclusion and access to financial services for all households in the country.Pradhan Mantri Jan Dhan Yojana (PMJDY) is a national mission to bring comprehensive financial inclusion of all the households in the country. Under the PMJDY, any individual above the age of 10 years and does not ave a bank account can open a bank account without depositing any money.The scheme was to ensure the access to financial services such as banking / savings & deposit Accounts, remittance, credit, debit cards, insurance and pension in affordable manner. The scheme was mostly targeted to the people belonging to the Below Poverty Line but is beneficial to everyone who does not have a bank account.Jan Dhan Yojana has seen a great success, about 21 Crore accounts have been opened in just about one and half year under the scheme. Out of the total 12.87 crore in rural area and 8.13 Crore accounts have been opened in urban areas. Despite of zero minimum balance, there is 33074.89 crore rupees balance in these accounts with 28.88% accounts opened with zero balance. Main Objective: Secure the future of girl childSukanya Samriddhi Yojana is an ambitious small deposit savings scheme for a girl child. Under the scheme, a saving account can be opened in the name of girl child and deposits can be made for 14 years. After the girl reach 18 years of age, she can withdraw 50% of the amount for marriage or higher study purposes.After the girl completes 21 years of age, the maturity amount can be withdrawn including the interest at rates decided by Government every year.The investments and returns are exempt from section 80C of Indian income tax act. The maximum investment of Rs. 1.5 Lakh per year can be made while minimum deposit is Rs. 1000/- per year.In case of more than one girl child, parents can open another account on the different name but only for 2 girl child. Only exception is that the parents have twins and another girl child. Main Objective: Financial support for growth of micro enterprises sector.Pradhan Mantri MUDRA (Micro Units Development and Refinance Agency) Yojana was launched with the purpose to provide funding to the non-corporate small business sector. Pradhan Mantri Mudra Yojana (PMMY) is open and is available from all Bank branches across the country.The small businesses/startups or entrepreneurs can avail loans from Rs. 50 thousand to 10 Lakh to start/grow their business under the three, Shishu, Kishore and Tarun categories of the scheme.As per the official website of PMMY, 27344053 number of loans have been sanctioned under the scheme till 26 February 2016. The amount sanctioned has reached more than Rs. 1 Lakh Crore. Main Objective: Provide life insurance cover to all Indian citizensPradhan Mantri Jeevan Jyoti Bima Yojana is a government backed life insurance scheme in India aimed at increasing the penetration of life insurance cover in India. The scheme is open and available to all Indian citizens between the age of 18 to 50 years.Under the scheme, the policy holder can get a life insurance cover of Rs. 2 Lakh with an annual premium of just Rs. 330 excluding service tax. All the Indian citizens between 18-50 years of age with a saving bank account are eligible to avail the scheme. Main Objective: Provide accidental insurance cover to all Indian citizensPradhan Mantri Suraksha Bima Yojana is also a government backed accident insurance scheme in India aimed at increasing the penetration of accidental insurance cover in India. The scheme is open and available to all Indian citizens between the age of 18 to 70 years.Under the scheme, the policy holder can get a life insurance cover of Rs. 2 Lakh with an annual premium of just Rs. 12 excluding service tax. 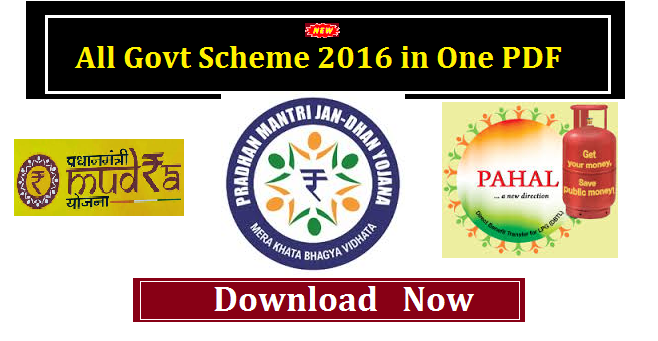 All the Indian citizens between 18-70 years of age with a saving bank account are eligible to avail the scheme. Main Objective: Achieve housing for all by the year 2022, 2 crore in Urban and 3 Crore homes in Rural areas.Pradhan Mantri Awas Yojana is an ambitious scheme of Narendra Modi Government. Under the PMAY, the government aims to provide about 5 Crore affordable homes to the people belonging to EWS and LIG categories by the year 2022. There is a target of building 2 crore homes in urban area and 3 crore in rural areas across the country.Under the scheme, the government will provide financial assistance to the poor home buyers, interest subsidy on home loan and direct subsidy on homes bought under the scheme. Main Objective: Social, cultural, economic, infrastructure developments in the villages, i.e. development of model villages called “Adarsh Gram”Under the Yojana, Members of Parliament (MPs) will be responsible for developing the socio-economic and physical infrastructure of three villages each by 2019, and a total of eight villages each by 2024. Provide insurance cover to rabi and kharif crops and financial support to farmers in case of damage of crops.In order to make crop insurance simpler and cheaper for the farmers and to provide them with better insurance services, a Central Sector Scheme of Pradhan Mantri Fasal Bima Yojana (PMFSY) was launched by the Government of India replacing NAIS and MNAIS. The government has approved Rs.50,000 crore for the implementation of Pradhan Mantri Krishi Sinchai Yojana for next 5 years, i.e. up to 2020. 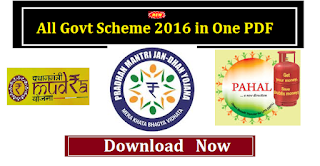 Garib Kalyan Yojana is a Poverty Alleviation Scheme, which is primarily a work shop that you can pay and attend. The effort of the campaign and workshop is to motive and appraise the member of parliaments to help them effectively implement the government run schemes for the welfare of poor in the country. Under the scheme, over 500 medicines will be sold through Jan Aushadhi stores at price less than the market price. Private hospitals, NGO’s, and other social groups are eligible to open the Jan Aushadhi stores with a onetime assistance of Rs. 2.5 Lakh from the central Government. The soil health card studies and reviews the health of soil or rather we can say a complete evaluation of the quality of soil right from its functional characteristics, to water and nutrients content and other biological properties. It will also contain corrective measures that a farmer should adopt to obtain a better yield. The Digital India programme is a flagship programme of the Government of India with a vision to transform India into a digitally empowered society and knowledge economy. The vision of Digital India programme is to transform India into a digitally empowered society and knowledge economy. DDU-GKY aims to train rural youth who are poor and provide them with jobs having regular monthly wages. It is one of the cluster initiatives of the Ministry of Rural Development that seeks to promote rural livelihoods. It is a part of the National Rural Livelihood Mission (NRLM) – the Mission for poverty reduction called Aajeevika. PRASAD scheme aims to create spiritual centres for tourism development within the nation. As part of mission strategy, religious destinations that have potential to be show-cased as world-class tourism products are identified and infrastructure is developed on a priority basis. With a duration of 27 months (completing in March 2017) and a total outlay of INR 500 Crores, the Scheme is being implemented in 12 identified Cities namely, Ajmer, Amaravati, Amritsar, Badami, Dwarka, Gaya, Kanchipuram, Mathura, Puri, Varanasi, Velankanni and Warangal. The scheme is implemented in a mission mode. It is a mentoring and scholarship scheme to enable meritorious girl students to transit from schools to technical education without much difficulty and also aims to enrich and enhance teaching and learning of mathematics and science at senior secondary school level by providing free online resources for all. The Bal Swachhta Mission is a part of the nationwide sanitation initiative of ‘Swachh Bharat Mission’ launched by the Prime Minister on 2nd October, 2014. This is not a Modi Government scheme, however, the government is making its efforts to implement the long pending scheme. It is a part of Digital India programme, Digital Locker has been designed to reduce the administrative overhead of government departments and agencies created due to paper work. The Government of India will provide financial support of Rs. 45,800 crore over the entire implementation period of IPDS under which strengthening of sub-transmission network, metering, IT application, customer care Services, provisioning of solar panels will be implemented. The Scheme aims to reduce the interest burden, reduce the cost of power, reduce power losses in Distribution sector, and improve operational efficiency of DISCOMs. Rashtriya Gokul Mission aims to conserve and develop indigenous breeds in a focused and scientific manner. It is a focussed project under National Programme for Bovine Breeding and Dairy Development, with an outlay of Rs 500 crore during the 12th Five Year Plan. The National Institution for Transforming India (NITI) which replaced 65 year old Planning Commission will act more like a think tank or forum, in contrast with the Commission which imposed five-year-plans and allocated resources to hit set economic targets. Pradhan Mantri Khanij Kshetra Kalyan Yojana (PMKKKY) is meant to provide for the welfare of areas and people affected by mining related operations, using the funds generated by District Mineral Foundations (DMFs). Namami Gange approaches Ganga Rejuvenation by consolidating the existing ongoing efforts and planning for a concrete action plan for future. The interventions at Ghats and River fronts will facilitate better citizen connect and set the tone for river centric urban planning process. Setu Bharatam is an ambitious programme with an investment of Rs. 50,000 crore to build bridges for safe and seamless travel on National Highways. 208 new “road over bridges / road under bridges” are envisaged for construction, while 1500 bridges will be widened, rehabilitated or replaced. Unified Agricultural Marketing E-Platform to be Dedicated to the Nation on 14th April this Year . The Union Finance Minister, Shri Arun Jaitley while presenting the General Budget today said that his Government intends to go beyond Food Security and give back a sense of income security to our farmers. In this regard, his Government intends to double the farmers’ income by 2022. He allotted Rs. 35,984 crore for agriculture and farmers’ welfare. He said that his government intends to address issues of optimal utilization of water resources, create new infrastructure for irrigation, conserve soil fertility with balanced use of fertilizer and provide connectivity from farm to market. Main Objective- The pregnant ladies will be given free health check-up and required treatment for free on 9th of every month. • All kinds of medical checkups under the scheme will be completely free. • Tests will take place at the medical centres, government and private hospitals and private clinics across the country. • Women will be marked differently based on their health problems so that doctors can easily detect the problem. • The scheme is applicable only to the women in their pregnancy period of 3 to 6 months. • The women belonging to semi urban, poor and rural areas will be given preferences. There is a chance you are eligible for a new solar rebate program.